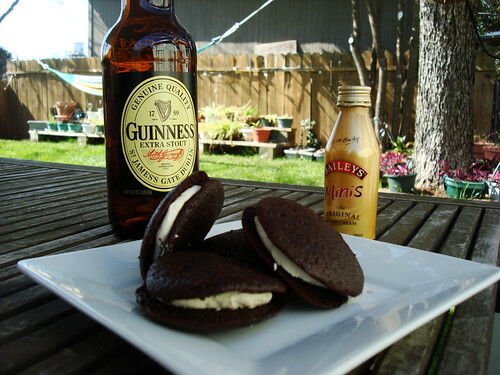 Chocolate Stout and Irish Cream Whoopie Pies | bake me away! I think this marks my first time posting a festive recipe several days before the actual holiday. Shocking, right? Unsurprisingly, this was kind of an experiment that I thought about doing awhile ago. I didn’t come up with the recipe, but did try a different execution of it. Did you know that I made a wedding cake almost a year ago? It was this already huge chocolate stout cake recipe tripled and it was ridiculously delicious. If you’ve never had chocolate stout cake, I think you should change that very soon. It doesn’t taste beer-y, but has an even deeper chocolate flavor. 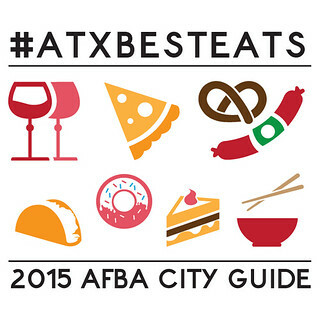 And just so you know, even beer haters like it. 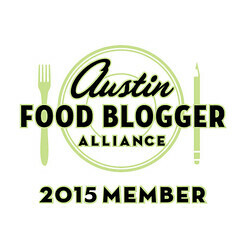 :) By the way, all three winners of that Scharffen-Berger Chocolate Adventure Contest (remember?) incorporated stout into their cupcakes. That’s saying something. Anyway, I think Deb basically halved that cake recipe (she’d made it into a bundt before), so I knew what I was getting myself into taste and texture-wise. I didn’t know if one could make whoopie pies simply by scooping cake batter without any alterations onto a cookie sheet, but luckily for me, it pretty much worked with this recipe! This recipe is originally for cupcakes, but I didn’t change a single thing about the batter. 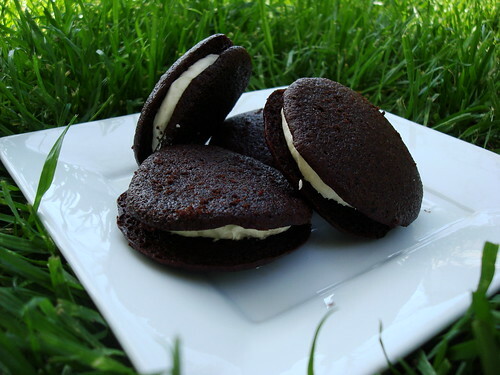 As a result, they are quite flat like Oreos, but with the cakey texture that whoopie pies are known for (and a lot more manageable to eat than the typically puffy ones). I didn’t incorporate the chocolate whiskey ganache that Deb put in her cupcakes, though you could certainly spread some on one cookie and the frosting on the other. I doubled the frosting recipe, but didn’t need to double the sugar as 3 cups was plenty sweetness and texture-wise! Make the cookies: Preheat oven to 350F and line a cookie sheet with parchment or a baking mat. Put the stout and butter into a large saucepan and heat over low until butter is melted. Increase the heat to medium and bring to a simmer. 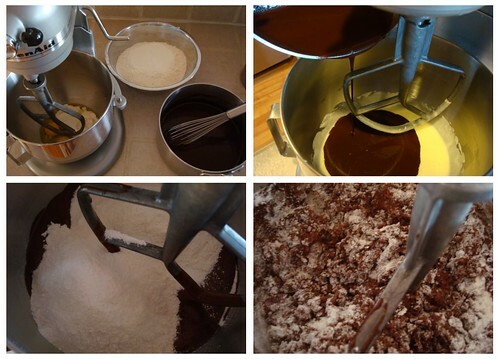 Whisk in the cocoa powder until smooth and set aside to cool. Meanwhile in a separate large bowl, sift together the flour, sugar, baking soda, and salt. In the bowl of your stand mixer (or in another big bowl if using a hand mixer), beat together the sour cream and eggs until combined. Slowly pour in the stout mixture and beat until just combined. Add the flour mixture and mix just enough to get the flour moistened, then fold together completely using a spatula. At this point, I found it less messy to put the batter in the freezer for a few minutes to firm up a little bit for scooping, but I didn’t do that at first and it was fine. Using a small cookie dough scoop or tablespoon, scoop and drop the batter balls onto your lined cookie sheet. These spread a lot, so leave a generous amount of space between each (~2-3 inches). Bake for 11-13 minutes or until set. A tester should come out clean. Let cool on the sheet for a couple minutes, then gently transfer the cookies to a wire rack with a spatula. 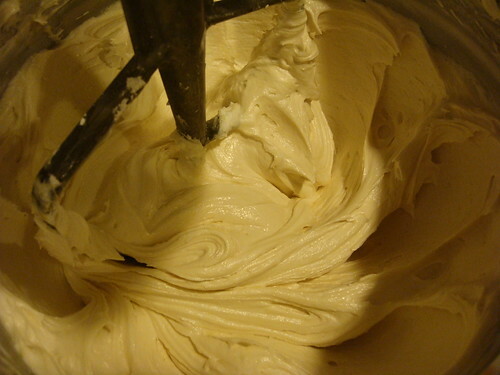 Make the filling: Beat the butter with a mixer on high speed for several minutes, or until light and fluffy. If your butter is a little too warm like mine was, you can stick the bowl in the fridge for a couple minutes to firm it up a little. Slowly add the sugar 3-4 tablespoons at a time until desired sweetness and texture is achieved. Pour in the Irish cream a couple tablespoons at a time, tasting until you like the flavor. If the frosting gets too runny, add a little more powdered sugar. Assemble the pies: I used the same small tablespoon-sized cookie scoop to dollop the batter onto the cookie halves. If you want to use more or less, go for it! You could also use a piping bag or ziploc bag with the corner snipped off to do this, but I couldn’t be bothered with that. :) Store these in the refrigerator in an airtight container. I’m planning to freeze a bunch because it’s cake and frosting which freeze well! These are super moist, soft, and not too sweet. Perfect for a St. Paddy’s Day party if you ask me…just sayin’. Thanks for the recipe…sound great! 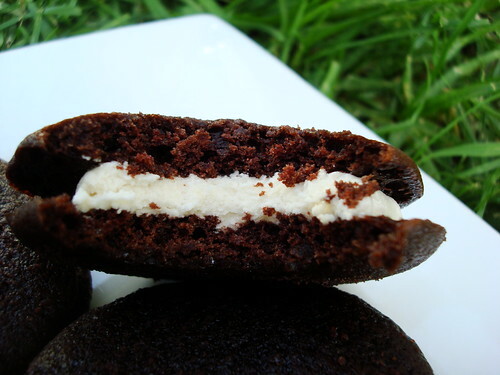 I haven’t attempted whoopie pies, but your walk through helped me to see how to put it all together…thanks for that too! First, I’m extremely jealous I didn’t think of these first. Blast! Second, holy moly, that wedding cake is AWESOME. I think you should put together a tutorial on how you did that (unless you did that already…I didn’t check). I’d be way curious about how you made it and how the icing got all smooth and perfect. Third, I will send you my address so you can send me 2 dozen of these. We’ll talk later. Mary – Actually I thought of it several months ago, but then saw that someone else did it back in 2009, so I’m not the first! Nope, I haven’t done a post about the wedding cake, but did take some photos during the process. It could be a how-a-non-cake-decorator-makes-a-wedding-cake post. XD The icing is ganache, by the way. And haha! I’ve got some hibernating in the freezer. I think you should dye the icing green for St. Paddy’s. And since I’m not drinking beer, you know I’ll need a lot of these, yes? Or maybe I could roll the edges in green sprinkles? Come and get ’em! I want to eat a lot of these right now. I recently read that February 24 is National Cupcake Day in Canada. Even though I’m not in Canada, that shouldn’t stop me from celebrating, right? Plus, it’s for a good cause. In that spirit, I share the best cupcakes I ever made. So, they’re actually whoopee pies, which I think are actually much better than cupcakes. They’re easier to eat, and you get a taste of cake and frosting in every bite. What could be better? When I made these Chocolate Stout and Irish Cream Whoopie Pies, I had to give them away so that I wouldn’t eat them all in one weekend. So, yeah, they’re that good.